David Morland's text examining the relationship between anarchism's notion of human nature and its vision of a future stateless society by way of three 19th-century social anarchists: Proudhon, Bakunin and Kropotkin. It demonstrates that social anarchism operates a conception of human nature that assumes the existence of both egoism and sociability, and therefore provides a realistic assessment of human nature. 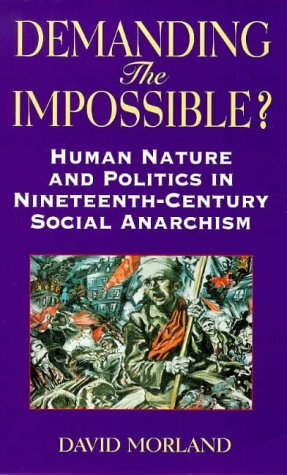 The book concludes by exploring the possibilities for a reconceptualization of the anarchist conception of human nature that would help overcome the problems identified by the author and point the way for future development of anarchist thought.